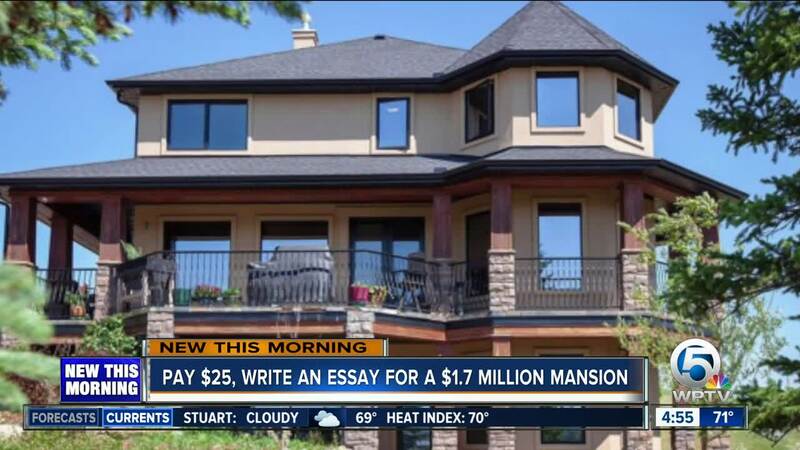 A creative essay and few dollars are all you need to win a mansion! CALGARY, Alberta — A creative essay and few dollars are all you need to win a mansion! Because of health problems, a woman in Calgary, Alberta, is holding a contest to give away her home valued at $1.6 million. All you have to do is email an essay to the owner, Alla Wagner, about why you deserve the house. There is an small entry fee of $25 Canadian. Wagner said she expects to receive tens of thousands of entries. A panel of judges will then pick the winner. Entries can be submitted through April 5.